What is virtual reality technology? Virtual reality is all around us. 360 ° videos can already be seen on Facebook and YouTube, and Google sells cardboard glasses adapted to your mobile phone. 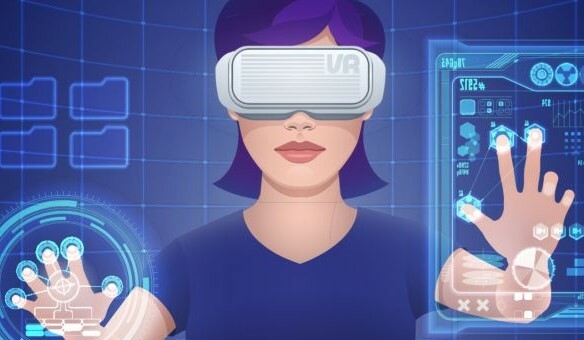 If you’re willing to make one major investment, you have several options, the Oculus Rift, the live HTC or with virtual reality technology gaming – the Playstation VR, all of which are designed to take you to a virtual world in the comfort of your home. However, virtual reality isn’t without flaws. The simple fact that this technology is not yet wireless, immersion in a completely virtual world is a problem when our senses perceive contradictory information: When you are shown that you are on a roller coaster, but you do not feel the inertia of the ride. Augmented reality (or mixed reality, since it combines real and virtual elements) does not have this problem. With Hololens by Microsoft, you can watch a monkey eating pizza on your couch, right next to your real cat. Or with the mysterious Magic Leap, in which Google and Alibaba have invested more than 1,300 million dollars, promises better quality and lighter glasses in the near future. What is virtual reality technology? But, what about virtual reality that is not only for entertainment purposes? As well as aviation simulators, virtual reality is already used to train in simulations by NASA and ESA environments. There are also several museums in London using Samsung Gear RV for its temporary exhibitions. Everything seems to indicate that virtual environments will end up becoming part of our everyday life. Be it in the form of advertising at first and more mundane information as it becomes more generalized. Remember to bookmark Vir Tec for more news like this.